PKL-2018 is set with another Season of Pro Kabbadi League. 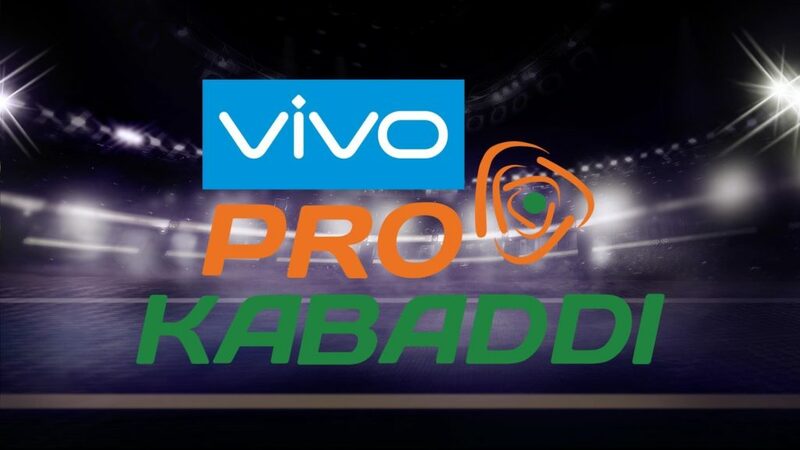 Vivo Pro kabbadi league (PKL-2018) Season 6 kicked start on 7 October. Every match Day, four teams will clash in two matches in Kabbadi league. This time in the sixth season of a tournament, teams sets in two zones. Both zones having six teams, each team will go through Fifteen intra-zonal matches and seven inter-zonal matches. 12 Teams are already set for league scheduled from 7 Oct to 6 Jan 2018. In the first match between Tamil Thalaivas and Patna Pirates, Ajay Thakur captain of Tamil Thalaivas settle a 42-36 win over Patna Pirates the defending champion. Halftime score 26-8 helped Tamil to fix 6 point win. 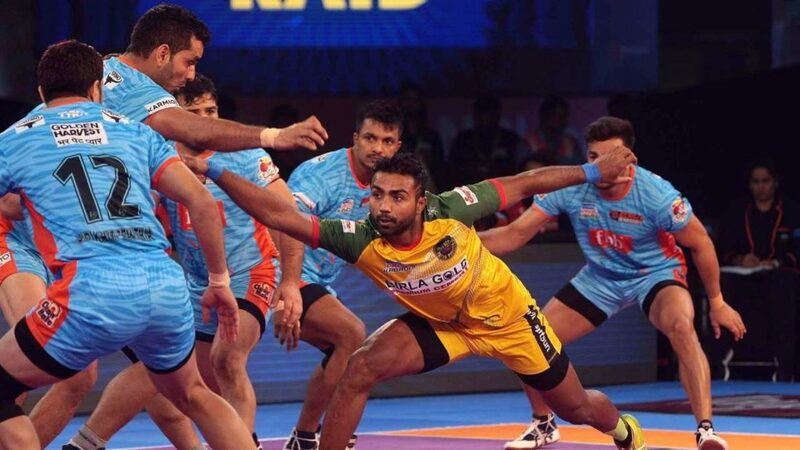 Last three-time title winner Patna Pirates deserve to lose as they should work in all departments. In the second match of the league, Match tied between Puneri Paltan and U Mumba as score point 32-32 doesn’t help them to won match. After the tie in the Second match, Puneri Paltan achieves their first win against Haryana Steelers with score point 34-22. At halftime Paltan lead 15-9 against Haryana leads to 12 Points win, Paltan fixed their position on points table. On the fourth match of league and second match of Tamil Thalaivas, UP Yoddha won with 6 point lead against Thalaivas. Yoddha managed at Halftime 18-4 points and defended to 37-32 at the end for a win. The fifth match resulted in a tie with 32-32 point between Dabang Delhi and Gujarat Fortune Giants. At halftime with score point 12-17, Gujarat couldn’t translate 5 points lead to win. After the First win in their first match, Tamil Thalaivas lost the second successive match with point 22-33 against Telugu Titans in the sixth match. These interesting win, tie and loose will be eye-catching for every sport lovers and stay tune with Pro kabbadi and with us for all updates. 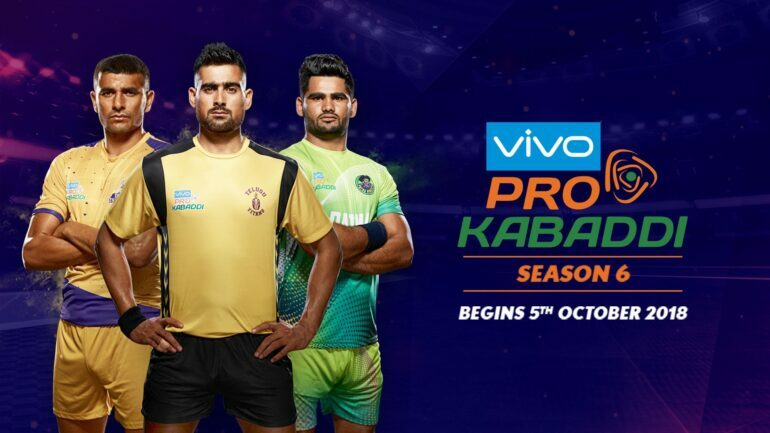 Pro Kabbadi Matches broadcasting on Star Sports 2, Star Sports 2 HD in English and Star Sports 1, Star Sports 1 HD Hindi Commentary. Matches are available in live streaming on Hotstar, Jio, and Airtel Tv. 8:00 pm Haryana Steelers vs Dabang Delhi K.C. 8:00 pm Patna Pirates vs Dabang Delhi K.C. 9:00 pm Gujarat Fortunegiants vs Dabang Delhi K.C. 8:00 pm U Mumba vs Dabang Delhi K.C.